Stephanie Burgis wrote a very entertaining enjoyable read with characters that jump right off the page. “Congress of Secrets” is a great period drama with a very intriguing plot occurring at the Congress of Vienna hosted by the Emperor Frances in 1814 after Napoleon had fallen. Ms. Bugis used real historical events and characters interwoven with the fictional creating a captivating story of political intrigue, dark alchemy, with a touch of romance and humor. She builds and builds this well researched story with twists and turns and keeps you on the edge of your seat until the very end. 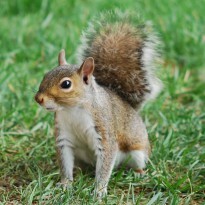 There are several characters in this story but not so many that you loose track of who is who. The two main well developed fictional characters are Caroline Wyndham a British noble a.k.a. Karolina Vogl, and Prince Kalishnikoff of Kenova a.k.a. Michael Steinhüller who are both separately trying to pull of the con of their life. Here is where the humor comes in, they both knew each other when they were Karolina and Michael. Caroline/Karolina is not happy with the Prince/Michael for what happened when they were younger blaming him for what happened to her and her father. Karolina’s and Michael’s early story is revealed slowly as the story develops, and their romance progresses as they slowly tell each other what happened on that day. Also we have additional fictional characters, Peter Riesenbeck and his theatrical troupe, who are in Vienna hopefully to make their fame and fortune. Politically there are several true historical nobles, ambassadors and royalty figures all vying for Emperor France’s favor to obtain property lost to Napoleon during the war. Then we have last but not least The Count of Pergen, Emperor France’s right had man or whatever he truly is practicing dark dark alchemy. My favorite historical character was Prince de Ligne the confidant of both Caroline/Karolina, and Prince/Michael. 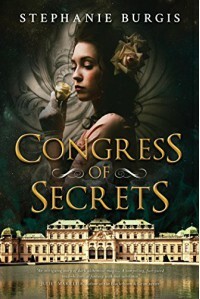 Ms. Burgis brought the Congress of Vienna to life, in “Congress of Secrets” using the language and formality of the times in this intriguing delightful European historical story with an ending like not other. Historical fiction lovers this is one to add to your to read list, you will not be disappointed.